If you love to read--and even if you don't--you'll find something on this list that will surprise and delight you! "In eighteenth-century England, young Christopher "Kit" Bristol unwittingly takes on the task of his dead master, notorious highwayman Whistling Jack, who pledged a fairy he would rescue feisty Princess Morgana from an arranged marriage with King George III." "Coming-of-age story about a young boy named Ahmad struggling to find his place in the world. Raised in a refugee camp called Baddawi in northern Lebanon, Ahmad is just one of the thousands of Palestinians who fled their homeland after the war in 1948 established the state of Israel. In this visually arresting graphic novel, Leila Abdelrazaq explores her father's childhood in the 1960s and '70s from a boy's eye view as he witnesses the world crumbling around him and attempts to carry on, forging his own path in the midst of terrible uncertainty." ​"Deep in the forest, in a crumbling ruin of a castle, Sarah begins to untangle the layers of curses affecting her family, until she discovers that the curse has carried over to her, too. The day she falls in love for the first time, Sarah will transform into a beast--unless she can figure out a way to break the curse forever." "At the outset of World War II, Denmark did not resist German occupation. Deeply ashamed of his nation's leaders, fifteen-year-old Knud Pedersen resolved with his brother and a handful of schoolmates to take action against the Nazis if the adults would not. Naming their secret club after the fiery British leader, the young patriots in the Churchill Club committed countless acts of sabotage, infuriating the Germans, who eventually had the boys tracked down and arrested. But their efforts were not in vain: the boys' exploits and eventual imprisonment helped spark a full-blown Danish resistance. Interweaving his own narrative with the recollections of Knud himself, here is Phil Hoose's story of these young war heroes." "Calvin's personality seems to have been destined: he was born on the day comic strip "Calvin and Hobbes" ended, his grandfather gave the infant a Hobbes-like tiger toy that was his constant childhood companion, and his best (and only) friend was always Susie. But now important senior-year assignments are going undone, Susie has abandoned him for more popular kids, and suddenly Calvin is convinced that Hobbes is right there with him. It's schizophrenia. Calvin is placed on a locked ward for treatment. He decides his last, best hope is to go on a dangerous pilgrimage--to hike all the way across frozen Lake Erie from his Canadian home to Cleveland, where the comic-strip creator lives." (Kirkus Reviews) This is a wonderful coming-of-age, adventure and survival story." "Simon Snow is the worst Chosen One who's ever been chosen. That's what his roommate Baz says. And Baz might be evil and a vampire and a complete git, but he's probably right. Half the time, Simon can't even make his wand work, and the other half, he starts something on fire. His mentor's avoiding him, his girlfriend broke up with him, and there's a magic-eating monster running around, wearing Simon's face. Baz would be having a field day with all this, if he were here. It's their last year at the Watford School of Magicks, and Simon's infuriating nemesis didn't even bother to show up." 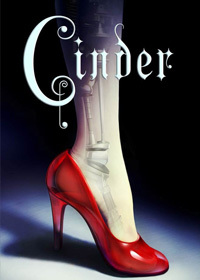 "As plague ravages the overcrowded Earth, observed by a ruthless lunar people, Cinder, a gifted mechanic and cyborg, becomes involved with handsome Prince Kai and must uncover secrets about her past in order to protect the world in this futuristic take on the Cinderella story." "In the year 241, twelve-year-old Lina trades jobs on Assignment Day to be a Messenger to run to new places in her decaying but beloved city, perhaps even to glimpse Unknown Regions." "Cameron and his mom have been on the run for five years. His father is hunting them. At least, that's what Cameron's been told. When they settle in an isolated farmhouse, Cameron starts to see and hear things that aren't possible. Soon he's questioning everything he thought he knew, including his own sanity. What's hiding in the night? Buried in the past? Cameron must uncover the dark secrets before they tear him apart." --From publisher. "Like her idol Sherlock Holmes, eighth grader Ingrid Levin-Hill uses her intellect to solve a murder case in her home town of Echo Falls." ​"Anthology of art and writings from some of the most groundbreaking Native artists working in North America today. Emerging and established Native artists, including acclaimed author Joseph Boyden, renowned visual artist Bunky Echo Hawk, and stand-up comedian Ryan McMahon, contribute thoughtful and heartfelt pieces on their experiences growing up Indigenous, expressing them through such mediums as art, food, the written word, sport, dance, and fashion. Renowned chef Aaron Bear Robe explains how he introduces restaurant customers to his culture by reinventing traditional dishes. And in a dramatic photo spread, model Ashley Callingbull and photographer Thosh Collins reappropriate the trend of wearing 'Native' clothing. Whether addressing the effects of residential schools, calling out bullies through personal manifestos, or simply citing hopes for the future, Dreaming In Indianrefuses to shy away from difficult topics." "In an alternate England of 1851, spirited fourteen-year-old Sophronia is enrolled in a finishing school where, she is suprised to learn, lessons include not only the fine arts of dance, dress, and etiquette, but also diversion, deceit, and espionage.In an alternate England of 1851, spirited fourteen-year-old Sophronia is enrolled in a finishing school where, she is suprised to learn, lessons include not only the fine arts of dance, dress, and etiquette, but also diversion, deceit, and espionage". "We're living in an aha moment. Take 250 years of human ingenuity. Add abundant fossil fuels. The result: a population and lifestyle never seen before. The downsides weren't visible for centuries, but now they are. Suddenly everything needs rethinking - suburbs, cars, fast food, cheap prices. It's a changed world. This book explains it. Using politics, psychology, and history for attitude, Eyes Wide Open shows how to see the principles driving events and attitudes, from vested interests to denial to big-country syndrome. Here's the briefing you need to comprehend the twenty-first century"
"In the country of Carthya, a devious nobleman engages four orphans in a brutal competition to be selected to impersonate the king's long-missing son in an effort to avoid a civil war." A fast-paced, exciting adventure story. "Accompanied by her daemon, Lyra Belacqua sets out to prevent her best friend and other kidnapped children from becoming the subject of gruesome experiments in the Far North." "A teenage girl leaves home to join the legendary Hunters, who protect the people from the terrifying monsters that have overrun their world." "Nixy Bauer is focused on earning enough money to get into a good college. She's a bounty hunter, hired by frustrated parents to pull their kids out of MeaParadisus--the kids call it MEEP--a virtual world where kids can go on spending sprees in virtual malls, remake themselves into the most popular kids at school, and experience danger and adventure, all while vegging out in their rooms. Her motto is "Nixy Bauer, Home in an Hour," and she delivers. So it's no surprise that she gets the call to rescue Wyn Salvador…except Wyn's dad created MEEP and should have been able to extract him without Nixy's help. It isn't until Nixy finds her way into Wyn's re-creation of pre-revolutionary Cuba and finds him stranded that she realizes Wyn's been kidnapped and can't get back…and now, neither can she." (Kirkus Reviews) This highly entertaining story will appeal to both gamers and non-gamers. "Thirteen-year-old Conor awakens one night to find a monster outside his bedroom window, but not the one from the recurring nightmare that began when his mother became ill--an ancient, wild creature that wants him to face truth and loss." A wonderful collection of short comics by and about Native peoples. Writers such as Richard Van Camp and Buffy Sainte-Marie base their vignettes on traditional stories. "When wasps come to Steve in a dream offering to fix his sick baby brother, he thinks all he has to do is say yes. But yes may not mean what Steve thinks it means." "Nimona is an impulsive young shapeshifter with a knack for villainy. Lord Ballister Blackheart is a villain with a vendetta. As sidekick and supervillain, Nimonaand Lord Blackheart are about to wreak some serious havoc. Their mission: prove to the kingdom that Sir Ambrosius Goldenloin and his buddies at the Institution of Law Enforcement and Heroics aren't the heroes everyone thinks they are. But as small acts of mischief escalate into a vicious battle, Lord Blackheart realizes that Nimona's powers are as murky and mysterious as her past. And her unpredictable wild side might be more dangerous than he is willing to admit." "Amid the brutality of Auschwitz during the Holocaust, a forbidden gift helps two teenage girls find hope, friendship, and the will to live in this novel in verse that is based on a true story." "Sadie lies about having a deathly allergy to peanuts to help her make friends at her new high school." (SLJ) A great graphic novel! "Christine Heppermann's powerful collection of free verse poems explore how girls are taught to think about themselves, their bodies, their friends--as consumers, as objects, as competitors. Based on classic fairy tale characters and fairy tale tropes, the poems range from contemporary retellings to first person accounts set within the original stories. From Snow White's cottage and Rapunzel's tower to health class and the prom, these poems are a moving depiction of young women, society, and our expectations. Poisoned Apples is a dark, clever, witty, beautiful, and important book for teenage girls, their sisters, their mothers, and their best friends." "When the orphanage they live in is closed, Pax and a younger boy, Kai, are forced to live on the streets. Desperate to make enough money to send Kai to school, Pax does jobs for a shady character known only as Mister. When Pax is given a "special mission"--to deliver a heavy box to a certain location--Pax winds up charged with terrorism and plunged into a brutal prison environment where his captors will do anything to make him talk." "Minutes after eighteen-year-old Bennett Bardo of Gordo, New Mexico, asks Sophie Gilkey, his dream girl, to prom and she says yes, she is abducted by aliens and Bennett catches a ride across the galaxy with a band of misfit musicians to find her." n London, Albert Garrick, an assassin-for-hire, and his reluctant young apprentice, Riley, are transported via wormhole to modern London, where Riley teams up with a young FBI agent to stop Garrick from returning to his own time and using his newly acquired scientific knowledge and power to change the world forever." "The first book in a trilogy about a girl who claims she is visiting a parallel universe where a nefarious being called The Riverman is stealing the souls of children and the boy she asks to write her biography because she fears her soul may be next." "Want to understand black holes, antimatter, physics, and space exploration? Looking for a common sense guide to quantum physics that you can actually understand? Rocket Science for the Rest of Us is the book you're looking for! Get a grip on even the most mysterious and complex sciences with Ben Gilliland's guide to dark matter, exo-planets, Planck time, earth sciences, and more." "World War II is drawing to a close in East Prussia, and thousands of refugees are on a desperate trek toward freedom. When their paths converge in route to the ship that promises salvation, Joana, Emilia, and Florian find their strength, courage, and trust in one another tested with each step closer toward safety. When tragedy strikes the Wilhelm Gustloff, they must fight for the same thing: survival." "Meet Scarlett, a smart, sarcastic fifteen-year-old Muslim American, ready to take on crime in her hometown. When Scarlett agrees to investigate a local boy's suicide, she figures she's in for an easy case and a quick buck. But it doesn't take long for suicide to start looking a lot like murder. As Scarlett finds herself deep in a world of cults, curses, and the seemingly supernatural, she discovers that her own family secrets may have more to do with the situation than she thinks-- and that cracking the case could lead to solving her father's murder." "The teenage princess of a future-world Canadian superpower, where royal children are held hostage to keep their countries from waging war, falls in love with an American prince who rebels against the brutal rules governing their existences." "Follows three young operatives of a Psychic Detection Agency as they battle an epidemic of ghosts in London." "Adam, crippled by muscular dystrophy, and five other terminally ill teenagers sacrifice their bodies and upload their minds into weaponized robots to battle a dangerously advanced artificial intelligence program bent on destroying humanity." "Supervillains and criminals meet their match with Tony Stark's friend Squirrel Girl, aka Doreen Green, a college freshman with the appearance, speed, and agility of a squirrel." (School Library Journal) A hilarious graphic novel. This graphic biography, which has been described as "hip and cool", looks at Steve Jobs in all his complexities. Includes a great deal of information as well as technical descriptions and quotations. "Every summer, Rose goes with her mom and dad to a lake house in Awago Beach. It's their getaway, their refuge. Rosie's friend Windy is always there, too, like the little sister she never had. But this summer is different. Rose's mom and dad won't stop fighting, and when Rose and Windy seek a distraction from the drama, they find themselves with a whole new set of problems. It's a summer of secrets and sorrow and growing up, and it's a good thing Rose and Windy have each other." "Sixteen-year-old Malencia (Cia) Vale is chosen to participate in The Testing to attend the University; however, Cia is fearful when she figures out her friends who do not pass The Testing are disappearing." "Fourteen-year-old Jack falls under the spell of a delinquent Florida neighbor and gets way more trouble than he bargained for." "When Adam meets Robyn at a support group for kids coping with obsessive-compulsive disorder, he is drawn to her almost before he can take a breath. He's determined to protect and defend her--to play Batman to her Robyn--whatever the cost. But when you're fourteen and the everyday problems of dealing with divorced parents and step-siblings are supplemented by the challenges of OCD, it's hard to imagine yourself falling in love. How can you have a "normal" relationship when your life is so fraught with problems? And that's not even to mention the small matter of those threatening letters Adam's mother has started to receive ." "A gripping mystery-adventure set in the 1930s interwar period about a character desperately searching for his identity.Paris, 1934. Fleeing form the police and more sinister forces on his trail, Vango must race against time to prove his innocence." "Jacob and Oteka find themselves in the Lord's Resistance Army in Uganda and must try to survive." This terrifying, shocking story is based on real events." "Thirteen-year-old Stewart Inkster is academically brilliant but "ungifted" socially. Fourteen-year-old Ashley Anderson is the undisputed "It" girl of grade nine, but her marks stink. Their worlds are about to collide when Stewart and his dad move in with Ashley and her mom. "The Brady Bunch" it isn't. Stewart is trying to be 89.9% happy about it, but Ashley is 110% horrified. She already has to hide the truth behind her parents' divorce; "Spewart" could further threaten her position at the top of the social ladder. They are complete opposites. And yet, no matter their differences, they share one thing in common: they--like the rest of us--areall made of molecules." "Meg Murry and her friends become involved with unearthly strangers and a search for Meg's father, who has disappeared while engaged in secret work for the government." "Boxing gets an upgrade to zero gravity in this futuristic outing.Living centuries in the future, Carr, at 17, has dreams of winning the title. Carr is a zeroboxer, trading punches in a zero-G cube. Carr was born on Earth in "balmy Toronto." As a Terran, he's low on the totem pole socially; Martians, resented on Earth for their genetic modifications, look down on Earth as a backwater. After a few wins, Carr gets a pay raise and a brandhelm to manage his career. However, he learns a secret that brings him close to a criminal conspiracy, and he can't see a way out. Lee creates a believable future world by attaching new surroundings to common experiences. Carr lives in the inner circle on a space station; the wealthy can afford outer apartments with views of Earth. Boxing keeps its familiar customs, such as loud announcers, title belts and trash-talking opponents, but includes weightless flying. As a sports hero, Carr copes with interviews and fans just as today's star athletes do. More interestingly, the book focuses on ethical issues such as the genetic modifications humans undertook to begin living on Mars and promotes social awareness, focusing on Carr's humble beginnings and his still-impoverished young friend, Enzo. It all adds up to a superior sci-fi outing that doesn't need mad scientists to provide suspense. Top-notch science fiction and a great sports novel too. "